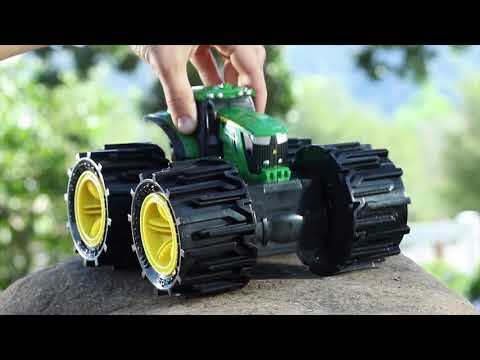 Conquer any obstacle that lies in your path with the Mega Wheels tractor! Simply push down on the cab to expand the wheels out; push again to retract them! Sounds are also activated when the cab is pushed down. Batteries are required and included. Features TRY ME packaging.